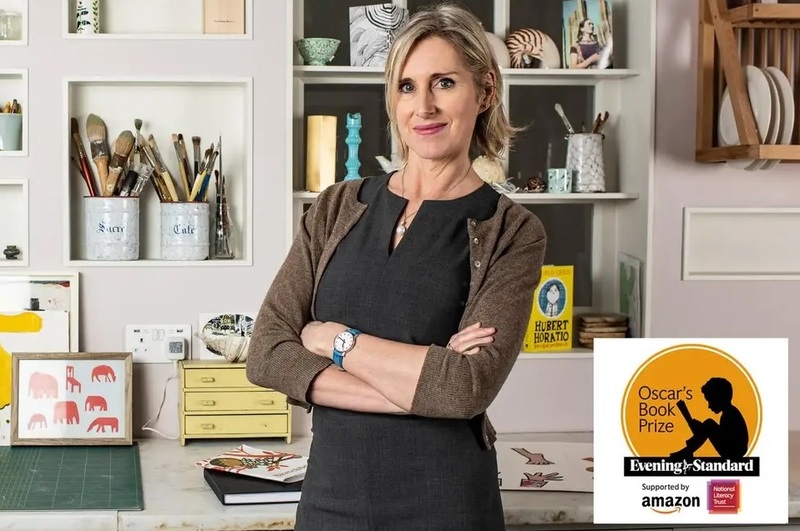 Children’s Laureate Lauren Child joins the judging panel for Oscar’s Book Prize 2019. The £5,000 award seeks to find the best book published in 2018 for children aged five or under. It was set up in memory of Oscar Ashton, the son of former Evening Standard City Editor James Ashton, and pays tribute to his love of stories and children’s imagination. HRH Princess Beatrice, a judge for the prize in 2016, is patron. The prize is supported by Amazon, the Evening Standard and the National Literacy Trust. Child, the creator of much-loved children’s characters Clarice Bean and Charlie and Lola, said that she’ll be on the look-out for new authors and illustrators “with left-field ways of looking at the world”. Joining Child on the judging panel is Sarah Brown, President of children’s charity Theirworld and Executive Chair of the Global Business Coalition for Education. They are joined by Brigitte Ricou-Bellan, Director of Books at Amazon UK. As in previous years, Oscar’s parents James Ashton and Viveka Alvestrand are also judges. This year, the judges are especially keen to see entries for books that reflect diversity in all its forms, real or imagined. The winner of this year’s prize will be announced on May 9 at a ceremony at the May Fair Hotel in London. Previous winners of Oscar’s Book Prize are: Benji Davies for the Storm Whale (2014); Steve Antony for The Queen’s Hat (2015); Gemma Merino for The Cow Who Climbed a Tree (2016); Rachel Bright and Jim Field for The Koala Who Could (2017) and John Dougherty and Laura Hughes for There’s a Pig Up My Nose (2018). Publishers are invited to submit up to five entries each for the 2019 prize. Forms and rules can be found here. The winner will be announced at an awards ceremony in London on May 9. The closing date for submission is 5PM on March 1, 2019. All images on this website are the property of The Evening Standard unless stated otherwise.